Explanation: Why is this galaxy so discombobulated? 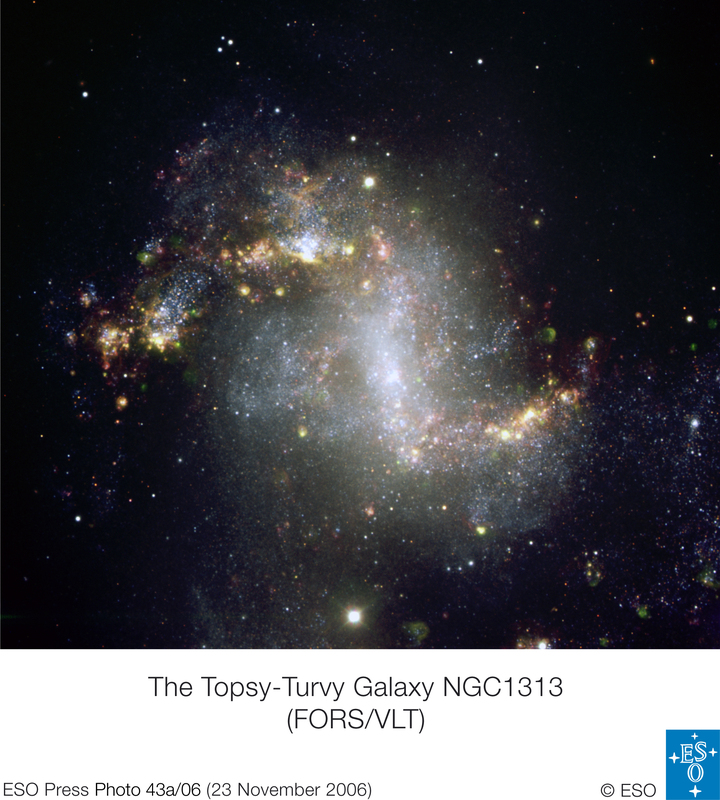 Usually, galaxies this topsy-turvy result from a recent collision with a neighboring galaxy. 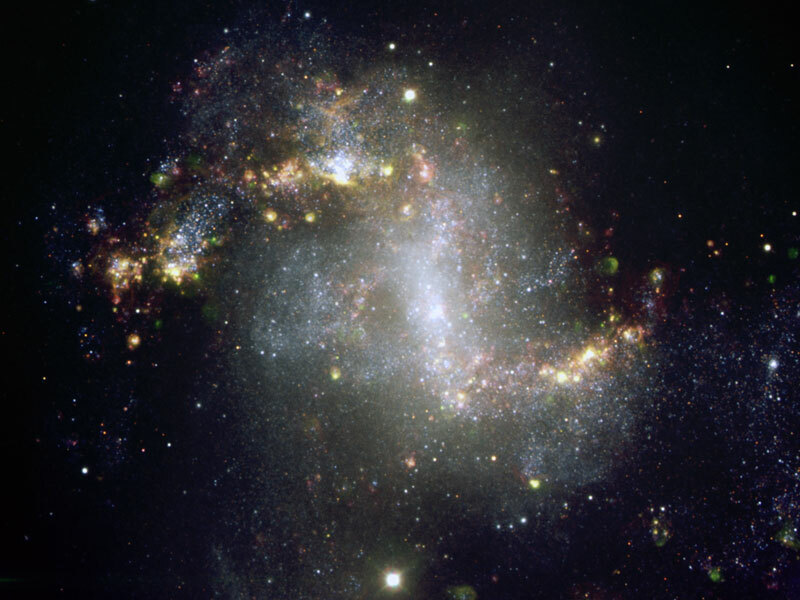 Spiral galaxy NGC 1313, however, appears to be alone. Brightly lit with new and blue massive stars, star formation appears so rampant in NGC 1313 that it has been labeled a starburst galaxy. Strange features of NGC 1313 include that its spiral arms are lopsided and its rotational axis is not at the center of the nuclear bar. Pictured above, NGC 1313 spans about 50,000 light years and lies only about 15 million light years away toward the constellation of Reticulum. Continued numerical modeling of galaxies like NGC 1313 might shed some light on its unusual nature.